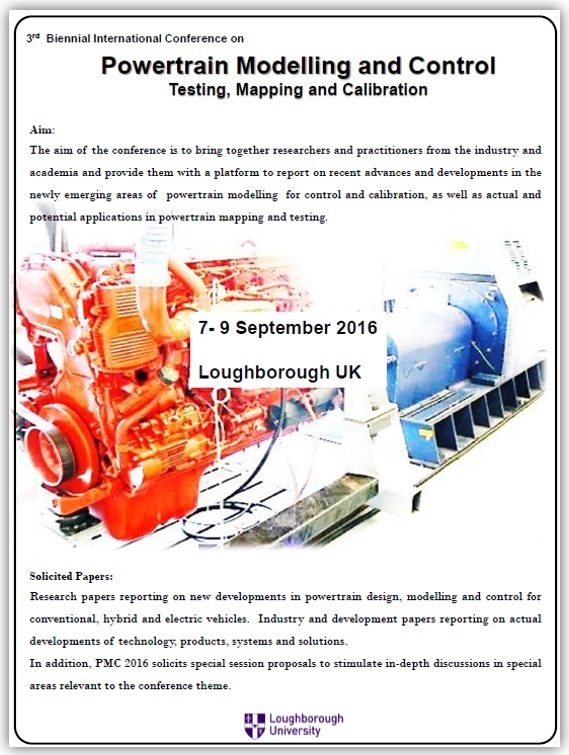 Claytex will exhibit and present at the Powertrain Modelling and Control Conference this September taking place at the Loughborough University. Claytex and MORSE project partners will present at the PMC 2016. Automotive manufacturers face enormous pressure to increase the range of vehicles/technologies that they offer. In this competitive environment any advances in simulation and virtual engineering offer significant advantages, especially when they reduce the amount of physical testing required. 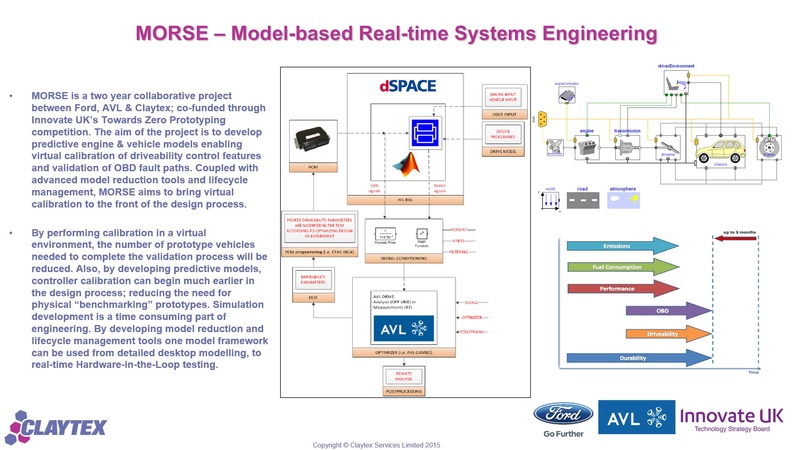 The Model Based Real-time Systems Engineering (MORSE) project looks to push simulation based virtual engineering into new areas to help meet the challenge. MORSE is a collaboration between Ford Motor Company, AVL Powertrain UK and Claytex. The final system to come out of the project will consist of a Powertrain Control Module (PCM) provided by Ford, which will link to a HiL system running state-of-the-art physical models of both the engine and vehicle (developed by Claytex). AVL will then use their industry standard driveability software (AVL Drive) to assess the vehicle performance. This real-time system will then be used to push the boundaries of virtual engineering to calibrate both new engine diagnostic features (e.g. Variable Displacement) and also to develop an automated process to calibrate driveability features that would normally require physical testing. In this paper we will introduce the technical approach taken in the MORSE project and present some initial results from both desktop based (SiL) tests and the real-time HiL evironment. The results presented demonstrate the potential impact of this project in terms of shifting product development efforts towards the virtual environment.